"Create portable versions of your all your favorite apps." 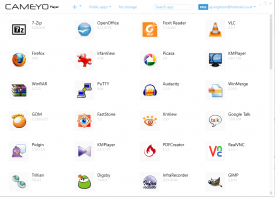 Cameyo is a very useful piece of free software, using Cameyo you can use large and complex software packages and have them run as one stand alone EXE file this also means you can pick and choose which of your applications you would like to virtualize. You are then able to use your applications on or offline and can transfer them to your other devices using Cameyo, once you have chosen which apps to virtualize in Cameyo those apps and even bookmarks and browser preferences can be stored there and saved for use on other machines. Cameyo can create a portable version of nearly any program and works quite simply, upon installation Cameyo will take a snap shot of your computer and then install the program you choose, Cameyo will take a second snap shot and package your chosen program in to a handy portable EXE file. If there is no current portable version of your favorite apps Cameyo can solve that by creating a portable app version for you. There seems not be many limits to what Cameyo can install and this includes add-ons so you could virtualize your favorite browser with Flash or Java already on it and ready to go. 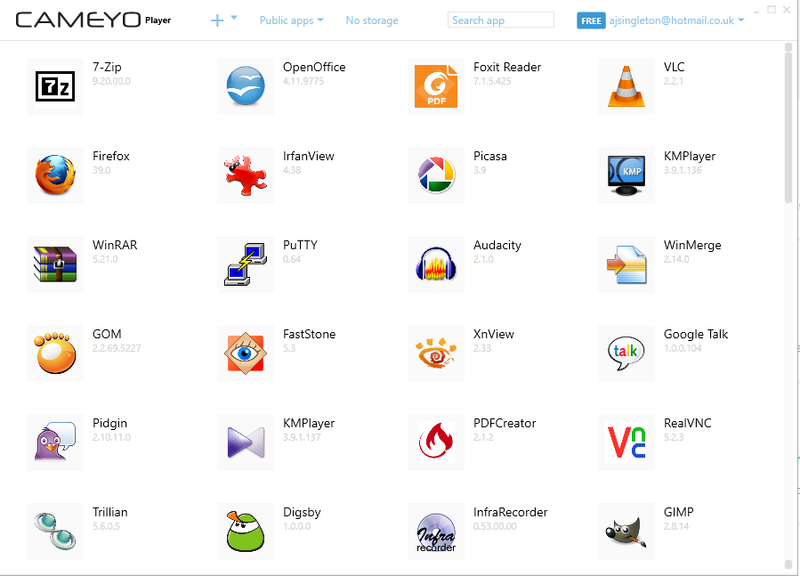 It can be quite slow in doing the snap shot installations and creating your packages especially if you virtualize more than one app at a time, but what Cameyo does is great, you just have to have the patience to wait to make all your favorite apps and software portable while Cameyo does its thing. Cameyo is also free and is a very useful piece of software, you can download it for free here.